The majority of the information contained in this exhibit is concerned with Oakville's history in the early 1900s. Here are a few important facts about Oakville that date prior to the 1900s, to provide some context for the information to follow. The first settlers appear in the area which will become Oakville. 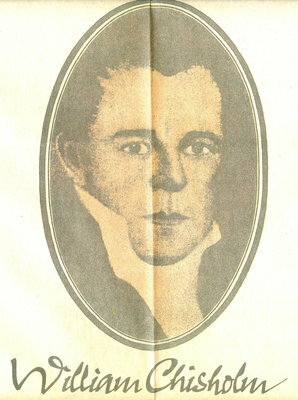 William Chisholm starts up his ship yard and purchases the land that will come to be known as Oakville. 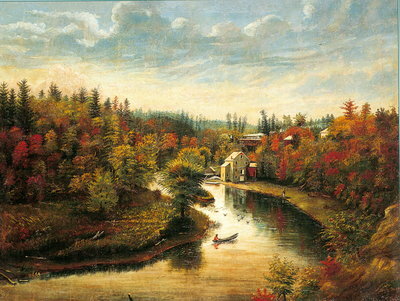 At this time, work begins on the saw and grist mills to be set up along the banks of the Sixteen Mile Creek. Work begins on the harbour and the construction of the town, including the first tavern. The saw mill is in production. Oakville is declared a port of entry. Oakville officially becomes a town. Shipbuilding, a blacksmith, a carriage factory, grocers, a hardware store, a druggist, a newspaper and churches are established within the community. The Grammar (high) school, Common (elementary) school and Separate school are set up. Lakefront property is used for estates and cottages. 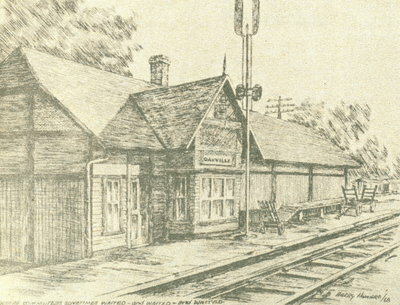 Radial railway service is offered from Oakville to Burlington and Hamilton. The information on this page is credited to: Halton-Peel KINection newsletter, Volume 36, Issue 2, page 19.